Apple May Launch iPhone 7 on September 6: Earlier this week a leaker Evan Blass from @evleaks has tweet on twitter about about release date of 2016 iPhone 7 as whole web is filled with leaks of iPhone 7 and releasing date make us more thrill about it. As earlier Blass tweeted that iPhone 7 will released on 12 September and will be on the hand of user on September 16. Earlier this week a leaker Evan Blass from @evleaks has tweet on twitter about release date of 2016 iPhone 7 as whole web is filled with leaks of iPhone 7 and releasing date make us more thrill about it. As earlier Blass tweeted that iPhone 7 will released on 12 September and will be on the hand of user on September 16. As now Blass has pointed that pre-order date of iPhone 7 will start on 9th of September. 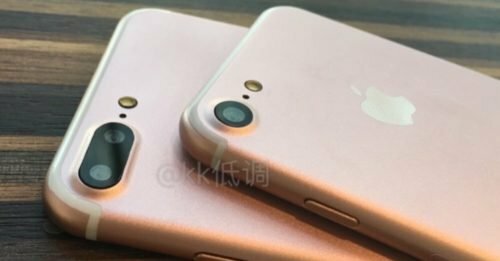 As from these he suggested that iPhone 7 will make it’s launching date at September 6 or may be 7 as Apple release their product on Tuesday or Wednesday. And pre-order will happen two-day after launch. As till now there no media invite from Apple or any official announcement of this special event. Apart from these Apple may expected to launch new Apple Watch or Watch 2 and may refresh Mac lineup.